In this issue, Margaret Kasner, M’00, RES’04, FEL’07, GR’11, Assistant Professor of Medical Oncology at Thomas Jefferson University Hospital, discusses her medical alma mater and trends in oncology and hematologic malignancies in our Q&A. This issue also features a special message from Penn Medicine alumnus Marc B. Garnick, M'68, who concluded his final term as a Penn Medicine Board trustee. We are grateful for Marc’s years of service to this wonderful institution. Gratitude is also on display in our third story, an introduction of Perelman Scholar Evgeny “Jack” Bulat. 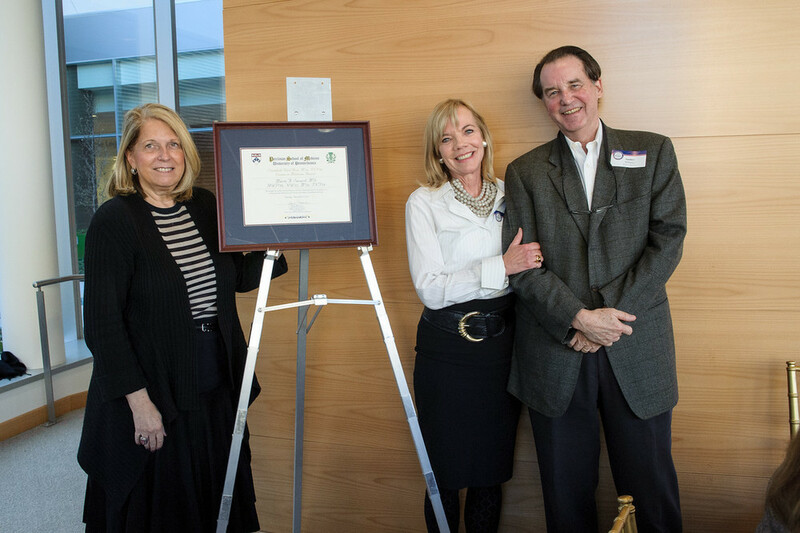 We would also like to introduce the Penn Medicine alumni community and friends of the School to Doximity. For those who are unfamiliar, www.doximity.com is the largest online professional network for U.S. physicians with over 400,000 members. Beginning in January, US News & World Report's "Best Hospitals" will send the “2015 Best Hospital Reputation” and Doximity’s “2016 Best Residency Program” surveys to providers with profiles on Doximity.com. We urge you to claim your profile, if you have not already done so, by visiting www.doximity.com. 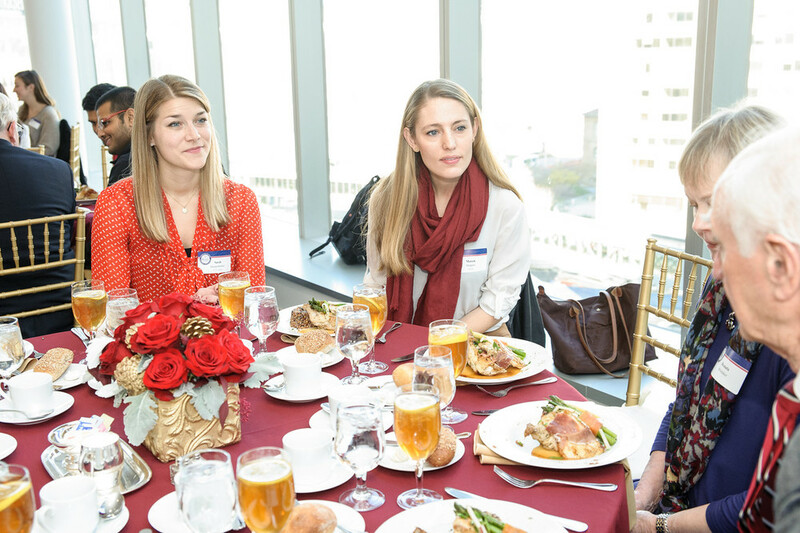 Please visit our photo gallery of the Elizabeth Kirk Rose, M’26, INT’30, Women in Medicine Celebration luncheon held on December 8, honoring Marie Savard, HUP’70, N’72, M’76, INT’79. Also, please view our events calendar for gatherings in Philadelphia and beyond. 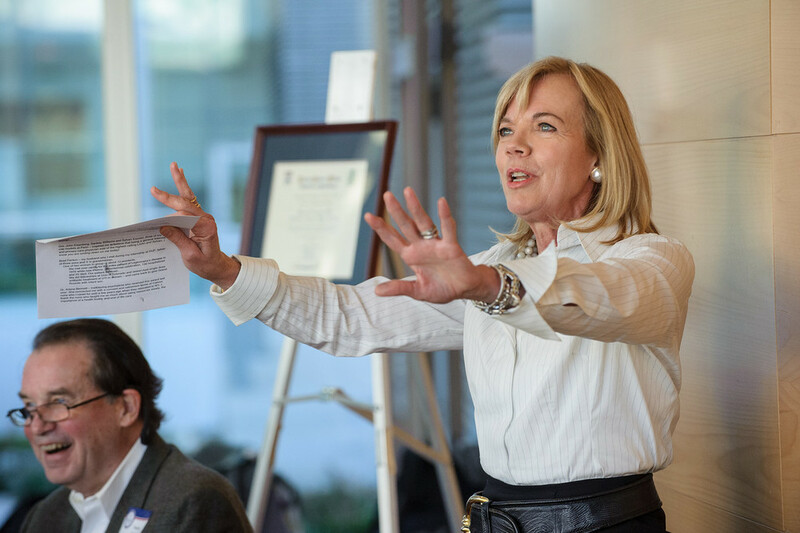 For those of you in the South Florida area, please mark your calendar for our Alumni Dinner on Sunday, February 21 featuring Senior Vice Dean for Education, Gail Morrison, M’71, FEL’76. If you are interested in attending, please contact Caitlin Adkins at adkinsc@upenn.edu or 215-573-8764. We are thrilled to announce the re-launch of the Penn Medicine alumni website: www.PennMedicine.org/Alumni. Please take a moment to visit the site for more information about upcoming events, Medical Alumni Weekend, and updates on the School. Over the next year we will be continually adding new and additional content. Finally, as 2015 winds down, please consider a charitable contribution to the Perelman School of Medicine. Support for scholarships can make a tremendous and tangible impact on our students’ medical school experience by freeing them to pursue their passions without concern for debt. Please read our latest appeal letter here, and consider a contribution. Wishing you and yours a happy holiday season and New Year! P.S. If you haven’t yet purchased a copy of To Spread the Light of Knowledge, a limited-edition book filled with nearly 200 pages of history celebrating the 250th birthday of the nation’s first medical school, please click here to read about and buy this wonderful keepsake or gift. 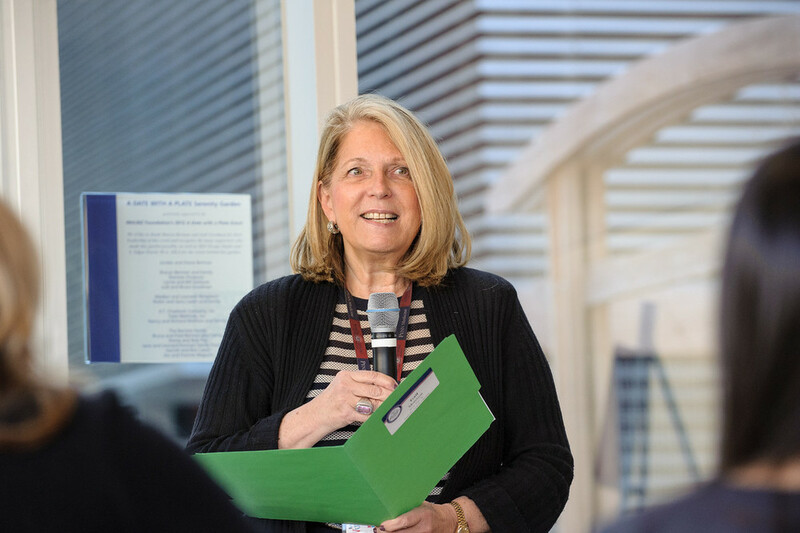 Dr. Margaret Kasner, Assistant Professor of Medical Oncology at Thomas Jefferson University Hospital, recently spoke to Pulse about modern medical practice and trends in her specialties of medical oncology and hematologic malignancies. 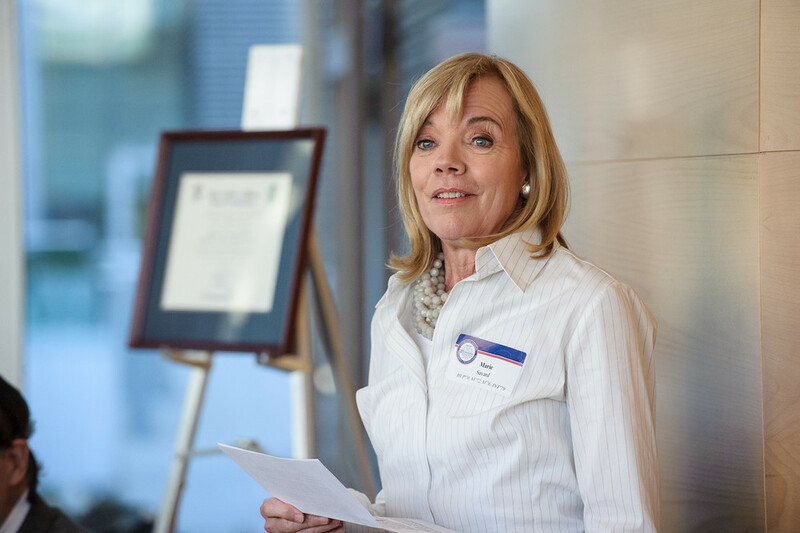 She has more than 20 years of experience with Penn Medicine, with her training beginning in 1996 and continuing through her current service on our Medical Alumni Advisory Council (MAAC). Q: One of the most important benefits of having alumni return to serve their medical alma mater is the sharing of their perspective and experience. So how has modern practice changed since you started your career? And how would you like to see it change in the future? We are constantly challenged by the need to make health care affordable now and for the future. Our practices are understandably more constrained when we try to control our costs, which may not lead to the best results. This is a daily struggle for the modern physician. Q: More specifically, what are the trends in hematology/oncology that you are seeing? A: One of the most exciting aspects about hematology/oncology is learning, from sequencing bone marrow, that mutations are acquired with virtually every cell division. This has allowed us to understand the molecular basis of the disease—and for academia and the pharmaceutical industry to develop approaches to target the contributing pathways. My own research has involved targeting the mTOR (mammalian target of rapamycin) pathway and the outcomes have been quite exciting. We have shown that patients in whom we suppressed this important pathway with a well-tolerated, FDA-approved, readily available drug respond much better to chemotherapy than those who do not receive it. Like I mentioned before, the challenge is the expense. Therapy with an oral agent for chronic myelogenous leukemia (CML) can cost $120,000 per year just for the drug. In that disease, the results are so remarkable that it is easier to accept the costs. However, in other diseases and other settings, we see similar costs with much more modest gains. Q: Our alumni are always thrilled to hear about what’s going on in the research arena; thanks for talking a bit about your work. What were the public health and/or medical take-away messages from the recent annual meeting of the American Society of Hematology? A: As always, several interesting trials were presented at the meeting this year. In keeping with the molecular basis of disease, there was an important randomized phase III trial presented during the plenary session which targeted FLT3-mutated acute myeloid leukemia (AML): an abnormality that portends a poor prognosis, a high chance of relapse, and a limited number of treatment options. In this trial, the addition of the novel agent, midostaurin, to the standard chemotherapy improved event-free survival and overall survival, compared with standard chemotherapy alone. Now, trials investigating even more specific and perhaps more effective FLT3 inhibitors have been ongoing at Penn for several years. Jefferson is also participating in a trial with a very promising FLT3 inhibitor. Penn Medicine and Jefferson have put Philadelphia at the forefront of the investigation of these pathways, as well as the agents designed to target them. Dr. Garnick is the Gorman Brothers Clinical Professor of Medicine at Harvard Medical School as well as Gorman Brothers Professor of Medicine at Beth Israel Deaconess Medical Center, where he maintains an active oncology practice. He is an international leader in medical oncology and urologic cancer and expert in prostate cancer treatment: he founded the Hershey Family Foundation for Prostate Cancer Research and is the editor-in-chief of Harvard Medical School’s Annual Report on Prostate Diseases. He shared his thoughts on Penn pride and the importance of being of service to his medical alma mater when he recently concluded his final term on the Penn Medicine Board. My relationship with Penn is deeply personal—I got my medical reflexes here—and it has been a singular privilege and honor to have served on the Penn Medicine Board for the past nine years as well as a highlight of my professional career. Penn Medicine will be able to accomplish even more with the continuing and expanding engagement of its devoted and proud alumni like you. In fact, I feel great pride when I see the Perelman School flourish, and with an incredibly diverse student body and faculty: something that was not evident during my student and house officer years in the ‘60s and ‘70s. 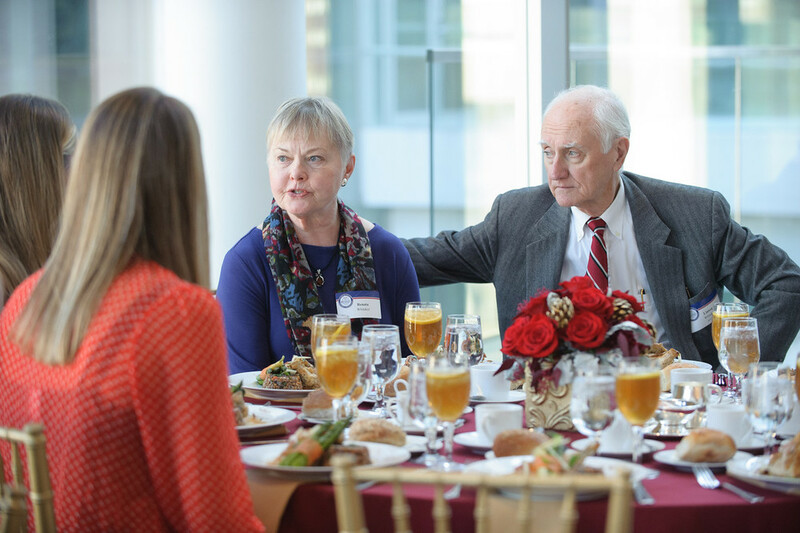 The philanthropy of Anne and Walter Gamble, M’57, has been so instrumental in ensuring that the most deserving students, regardless of financial circumstances, can pursue careers in medicine, particularly at one of the nation’s premier institutions. It should serve as an inspiration for all Penn Med alumni, as well as a model for the rest of the country. As a practicing physician, Harvard Medical School faculty member, and board member of my own hospital—the Beth Israel Deaconess Medical Center—I’m often shuttling between Boston and Philadelphia. So last winter, it gave me and my colleagues with Penn ties tremendous pride when Penn Medicine had the opportunity to tout its research leadership—especially that of Carl June—in the mighty halls of Boston medicine. Indeed, the advances in immunotherapy, gene therapy, community outreach, educational and curricular changes, patient safety initiatives, as well as house staff and fellowship training, represent only a fraction of the many contributions of our School. But this is no time to rest. The challenges facing American medicine and provision of health care to the region and nation, and furthering medical knowledge will continue to require the unwavering devotion of Penn’s leadership, its board members, and its distinguished alumni. Helping to realize the ambitious goal of the Gambles, a tuition-free medical education for all Perelman School students, would undoubtedly be a profound step in the right direction—impacting the future of medicine on several fronts. As I prepare to step down from the Board, I can think of no higher service of board members—indeed, all of our fellow School of Medicine alumni—than to provide their treasure, time, and expertise in helping shape the future of medical care, advance medical research, and educate the next generation of physicians and scientists. I urge you to help guide future fellow alumni, who will become the medical leaders of tomorrow, and share in helping to shape the future of your medical alma mater. 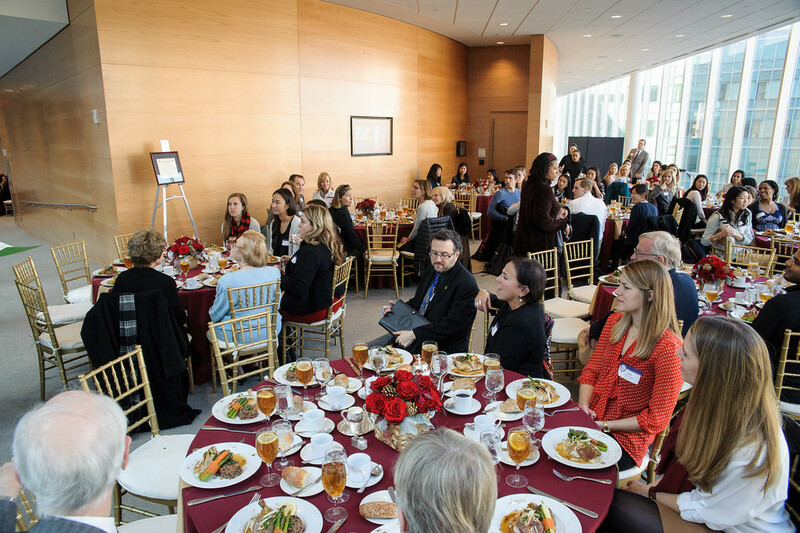 There are many ways to engage with and support the Perelman School of Medicine. 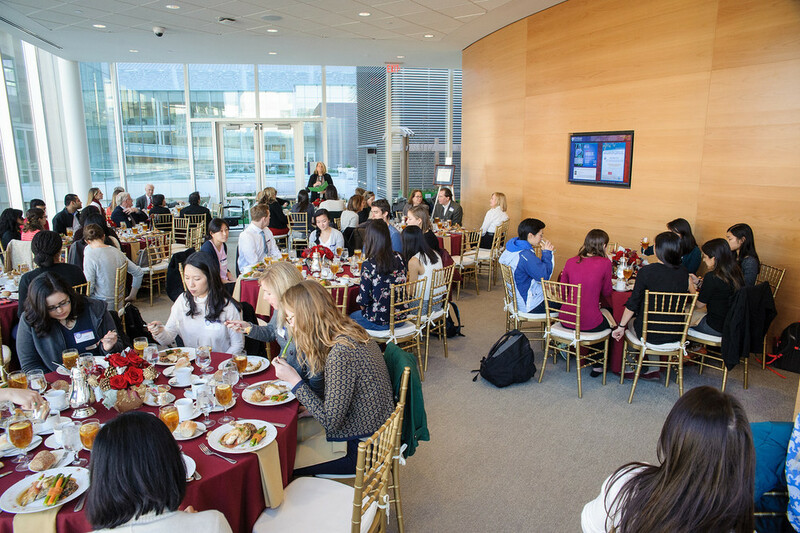 Please go to our new website (www.pennmedicine.org/alumni) to find the numerous opportunities—such as endowing a scholarship, hosting a student, chairing a reunion committee—for getting involved with your school. “My 16-year-old brother, Anthony, and I are not that different from each other. As a result, I want the Perelman Scholarship to reassure him that he, too, can reach his goals. Already, he’s on the right track, as a wonderful student and dedicated swimmer." Evgeny “Jack” Bulat, an aspiring orthopaedic surgeon, was born in St. Petersburg, Russia and reared in Rochester, NY. He first felt a passion for teaching while at Vassar College, where he became involved in teaching organic and inorganic chemistry. This passion would lie dormant as he subsequently earned a master’s degree in molecular and cell biology at the University of California, Berkeley. “During my graduate work at Berkeley, as well as a two-year research experience at Boston Children’s Hospital, I realized that what most motivated me about science was the people. Becoming a doctor to treat patients, do patient-based medical research, and teach medical trainees would make me happy,” he said. 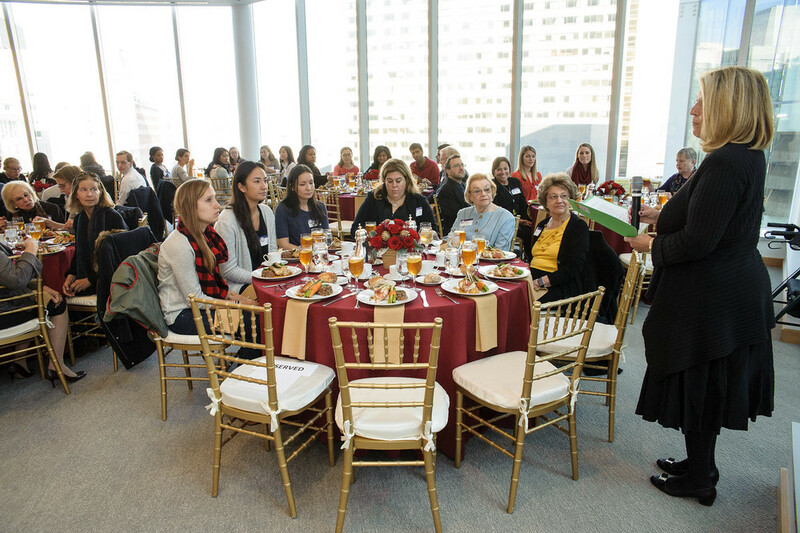 Please enjoy a gallery of photos from the annual Elizabeth Kirk Rose, M’26, INT’30, Women in Medicine luncheon, sponsored by the Elizabeth Blackwell Society and Penn Medicine Development and Alumni Relations. This year’s recipient of the Rose Women in Medicine Award is Marie Savard, HUP’70, N’72, M’76, INT’79, former ABC News Medical Contributor. You can read more about this noteworthy alumna on our web site. 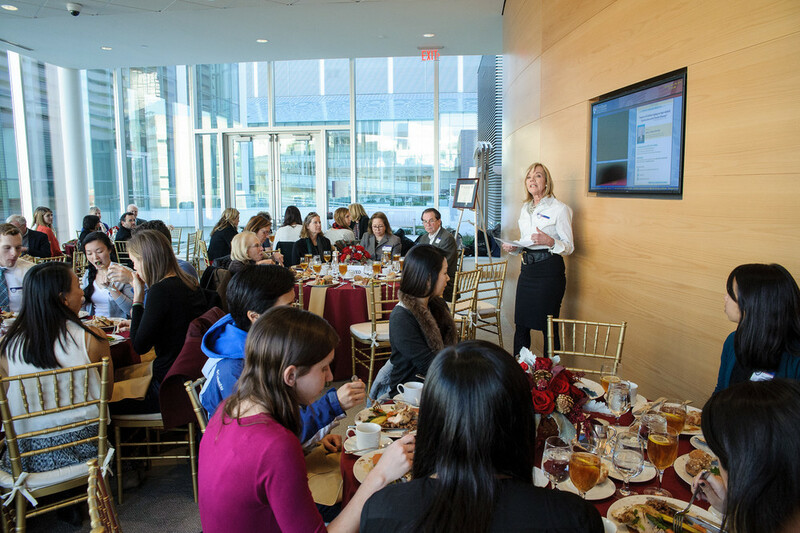 The annual Elizabeth Kirk Rose, M’26, INT’30, Women in Medicine luncheon recognizes women who have contributed significantly to fostering the education and careers of women in academic medicine. 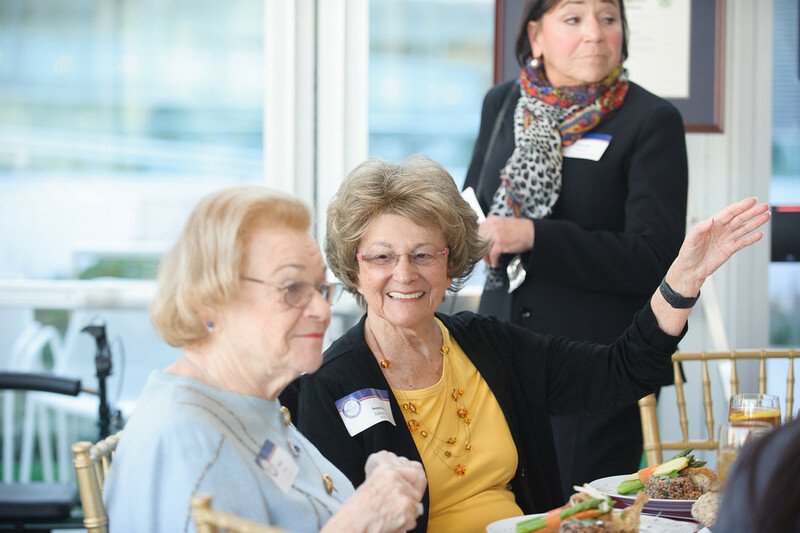 Dr. Rose was an energetic pediatrician and community health advocate as well as strong supporter of women in medicine, who began hosting a picnic for female physicians and medical students in 1962. An internist by training, Dr. Savard opened her remarks by stating how strongly she believes in empowering patients to be their own bosses. • last year’s Women in Medicine honoree Arlene Bennett, ED’60, M’64. After the holiday break, this winter will feature several noteworthy events for alumni and students. Please join us! 12:00 PM – 1:00 PM, Atrium JMEC. Reception to follow. Contact the Office of Student Affairs (OSA@mail.med.upenn.edu) for questions or details.